Airtel has allegedly been using the Aadhaar-eKYC SIM verification process to open new Payments Bank accounts for its customers without their explicit consent. Bharti Airtel has come under the scrutiny of the Unique Identification Authority of India (UIDAI) after customers of the telecom service alleged that Airtel Payments Bank accounts were opened in their name without their consent. The UIDAI has now barred Airtel from conducting any Aadhaar-SIM linking activities as well as Aadhaar-based e-KYC verifications for Airtel Payments Bank customers. The statutory authority on Aadhar has also reportedly suspended Airtel’s e-KYC licence as a result of these allegations and an investigation it conducted last month. Airtel has allegedly been using the Aadhaar-eKYC SIM verification process to open new Payments Bank accounts for its customers without their explicit consent. The UIDAI has also frowned upon the suggested linking of these Payment Bank accounts with LPG subsidies. Airtel customers have reported that their LPG subsidies were somehow being credited to their Airtel Payments Bank accounts, which were earlier linked to their savings bank accounts. The UIDAI has reportedly been investigating Bharti Airtel for violations of the Aadhaar Act for over a month now, and has also sent several notices to the telco which received unsatisfactory responses. The Aadhaar authority might also consider penalising Airtel with a heavy fine for illegally using the e-KYC verification process to dupe customers into signing up for a Payments Bank account. 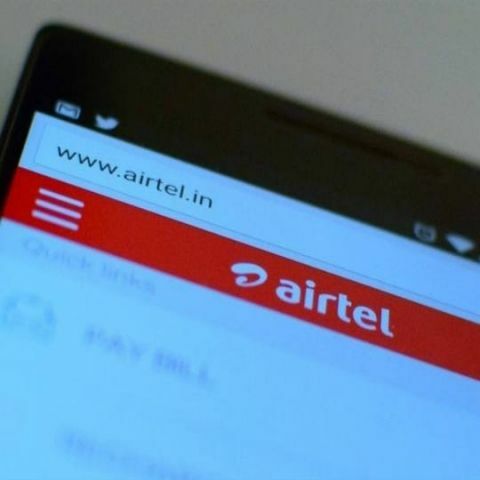 Reports suggest that over 23 lakh Airtel customers have received as much as Rs 47 Crore in their Airtel Payments Bank accounts, the existence of which was unknown to them. As a result of UIDAI’s action, Airtel will not be able to link any mobile SIMs with Aadhaar numbers of customers and customers will also not be able to open any new Airtel Payments Bank accounts using Aadhaar-eKYC verification. "The lapses are serious in nature. Prima facie, it is a criminal breach of trust and contract, and there are violations of provisions of the Aadhaar Act 2016," a source close to the matter told ToI. If found guilty of the practice, Bharti Airtel could be facing a fine of Rs 1 Lakh per day and a termination of its authentication user agreement with UIDAI, or worse, its Payments Bank license. Apart from customer allegations, the UIDAI has also noted that when the Airtel app is opened, it presents a pre-checked user agreement to "Upgrade or create my Airtel Payment Bank wallet using existing Airtel mobile KYC." Customers mostly click on this consent unknowingly and this practice is also considered a violation of the Aadhaar Act. Why does Origin accept payments from Debit Card from India? Why does not Origin accept payments from Debit Card from India? compare moto e and lenevo zenphone ? IS MOTO E SUPPORT DUAL SIM STAND BY MODE? \"Mi 10400 mAh power bank\" or \"PowerXcel 10400 mAh power bank\"